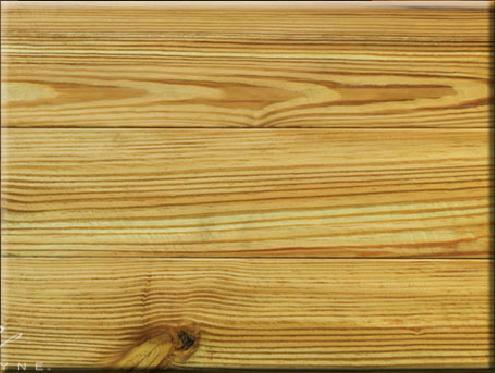 >Green building products continue to be a burgeoning flooring category across all flooring mediums. In the hardwood flooring sector this commitment to environmental responsibility has been expressed in a move towards third party certified lumber procurement, increased raw material yields through advancements in manufacturing techniques and through the use of lumber reclaimed from barns, wine barrels and old buildings to make flooring. 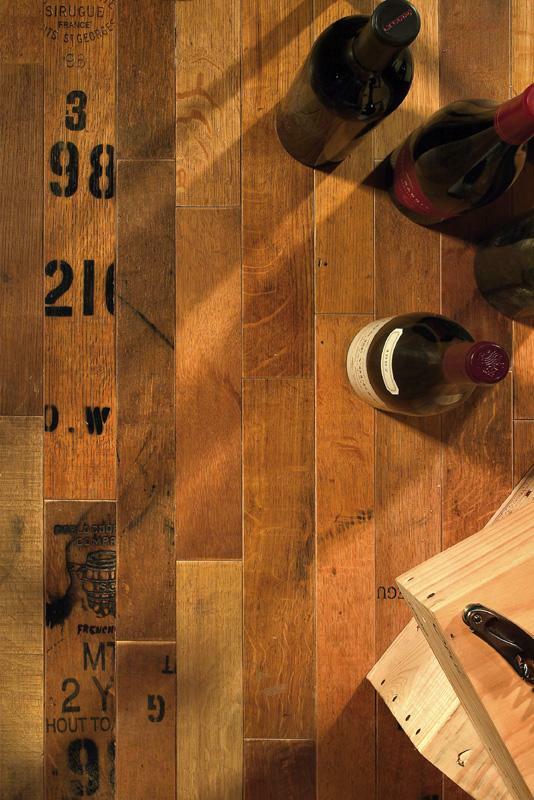 These reclaimed products have been offered as a unique alternative to run of the mill wood flooring products for some time although the environmental aspect of the use of these old timbers has in the last few years become the focal point of marketing these items. Merwin is also working along with West Plains, MO based Real Wood Floors to bring to market a reclaimed product produced from heavy timbers once used as ballast or cribbage in the hulls of World War II era ships. With the invention of water ballast systems and the move towards using light metals as cribbage these timbers were removed and discarded. By re-sawing these timbers into veneer Fontenay and Real Wood Floors will produce engineered flooring that is both unique and makes excellent use of material that would otherwise be left to rot and decay. Other manufacturers are also seeing a increased interest in flooring reclaimed from old wooden structures. Nicole Little from Charlotte, NC based Greyne Custom Wood Co. notes “we are using a smattering of antique and distressed woods reclaimed from barns, fenceboards and so called ‘tobacco’ wood reclaimed from the old wooden structures on dilapidated tobacco farms and processing facilities.” These product are generally re-sawn and the exposed side is used to capture the patina or worn appearance from years of use. 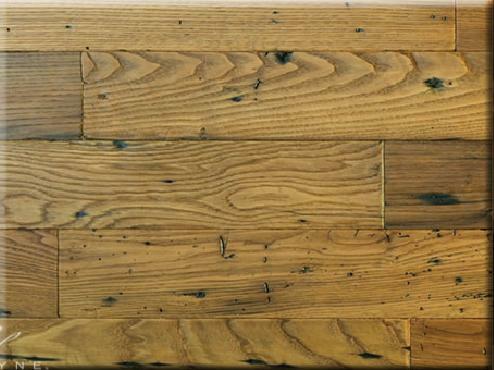 Greyne also makes reclaimed material from wormy chestnut and reclaimed oak logs that are scavenged from forest floors. Left: Reclaimed Heart Pine by Greyne Custom Wood Co. Right: Reclaimed Chestnut by Greyne Custom Wood Co.
“The majority of our products are customized for each project in-house with additional hand-scraping, beveling or distressing. In keeping with the Green trend we utilize European environmentally friendly oil finishes and low VOC water-based urethanes which not only enhance the natural character of the wood but also sets these items at the pinnacle of the Green Building movement” Little added. From coast to coast this burgeoning product category seems poised for continued growth and development. Once considered a product reserved specifically for high end use, increased demand has brought these products more into the mainstream. As the product category continues to grow and enhanced manufacturing techniques drive down costs, expect these products to become more readily available. This entry was posted in engineered wood floor, reclaimed, solid wood floor and tagged reclaimed, reclaimed wood, recycled, recycled wood floor. Bookmark the permalink.